Digital camera photo restoration utility is used to recover your data which was lost due to virus attack, memory reset, Improper shutdown, hardware failure etc and supports all file formats like JPEG, TIFF, MPEG, MOV, JPG, TIF, BMP, WAV, AVI. Tool retrieves all deleted files like digital photos, pictures, video clips, image etc and compatibles with all brands of digital camera including Kodak, Nikon, Olympus, Sony, Panasonic, Yashica, Philips. 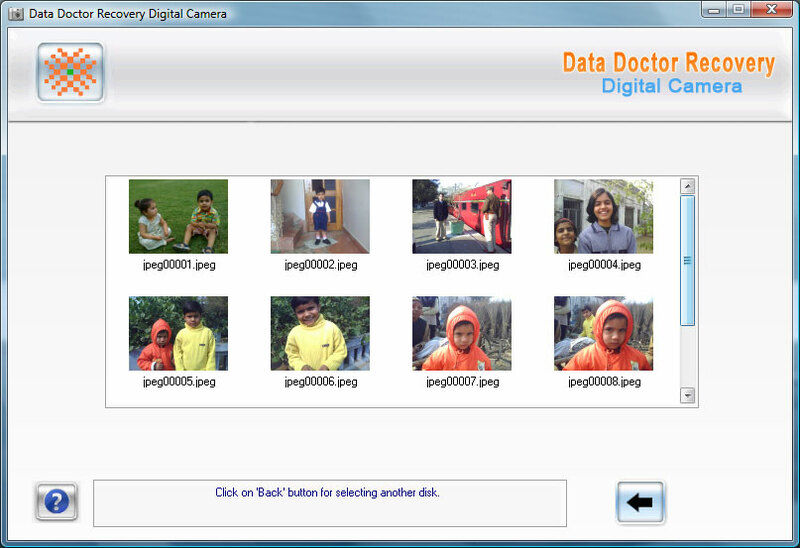 ...... Digital handy cam data restoration tool is used to recover accidently deleted files even if you get the error messages like �device is not accessible�, �File system not detected�, "Media is not formatted would you like to format now?� etc. Digital camera data salvage utility supports all file formats like GIF, RAW, WAV, MIDI, TIF, AVI, RIFF, JPG, MPEG, MOV, JPEG, TIFF, PSD, PNG, BMP, WAV etc and retrieves your photographs from virus infected digital camera memory card. Digital camera picture rescue software is compatible with all Windows operating system including Win 98(SE), 2000, 2003 server, XP (Media Center, Professional editions), Vista(Business, Ultimate, Enterprise Edition), ME, NT etc. Digital handy cam photo recovery tool is able to restore your images from all brands of digital camera like Nikon, Konica, Casio, Olympus, Panasonic, Sanyo, Canon, Kodak, HP, Fuji-Film, Sony, Samsung, Epson, Minolta, LG, Kyocera, Philips etc. Qweas is providing links to Data Recovery Digital Camera 3.0.1.5 as a courtesy, and makes no representations regarding Data Recovery Digital Camera or any other applications or any information related thereto. Any questions, complaints or claims regarding this application Data Recovery Digital Camera 3.0.1.5 must be directed to the appropriate software vendor. You may click the publisher link of Data Recovery Digital Camera on the top of this page to get more details about the vendor.